Thank you for checking in on what's going on in our Class! During the week of March 2nd-6th we will be celebrating the wonderful works of Dr. Seuss. We are joining forces with our great PTA and Dr. Seuss to help us remember how much fun reading can be. Inspired by Dr. Seuss’ famous cat…wear black, white and red. The Arrowhead PTA Facebook Page is now live! Please click the Join button on the Facebook page to become a member and you will be added into the mix. 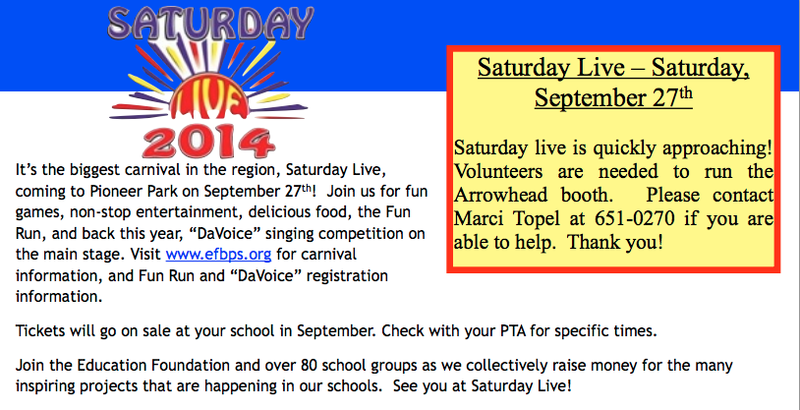 Stay in the loop on upcoming events, and learn about how the PTA is working hard to make Arrowhead great. See https://www.facebook.com/groups/ArrowheadPTABillings/ or search for “Arrowhead Elementary School PTA Billings, MT” Don't forget to like us! Tell your friends, call your mom! “Getting Started Workshop,” for the Science Expo takes place on January 24th at 11:30-1:30 at the Billings Public Library (Community Room). This is a fun workshop that will help teach the students about the scientific method and engineering design. Attached is a flyer that you can pass around to your students. We hope to see as many of your students as possible. If you have any questions, please feel free to contact me. Applications for the 2015 Science Expo can be found on-line at www.billingsclinic.com/scienceexpo. The High School applications are due February 13th and the elementary/middle school applications are due February 27th. 4th Grade students will be heavily involved in learning and testing the scientific process and completing a Science Fair project. However, all students MAY participate. The science fair projects will be done in a timely manner so students may take their project to the Science Fair Expo. Grades 1,2,3 are going to go to St. John's to sing their Christmas program songs on Monday, Dec 22. **Please send your child dressed up again on Monday, Dec. 22 to present our program** Thank YOU! Our class delivered over 200 cards for distribution to Military Families across the United States and the World. On Tuesday, December 9th we were able to hear 1st hand how much the cards impact military families with stories from active duty people and how thankful they are to get messages of support and holiday cheer. Thank you to all of you at home that provided time for your child to create more at home as well. For the next 6 weeks, we will be replacing "Math Spiral" in Tuesday Folders with "Multiplication Facts". This week in the homework, the students will get a letter home asking that they start practicing multiplication facts in a certain order to help them with timings for the following week. This will continue for 6 weeks with set facts added on each week to help build their confidence with multiplication. We will do the timings during class & send home the results for you at the end of the week. The timings will begin the week of December 1st. We will do small ones Monday through Thursday and then do a 50 problem one on Fridays! Wrapping up our last timing about the end of January. Tuesday, December 9: A Holiday Lunch for kids who have HOT lunch this day. National Diabetes Day - wear BLUE!! United We Stand, United we Send! Arrowhead Elementary is proud to join with other schools around the district to help to support one of our own. Recently, the Riverside Jazz Band, led by Mr. John Goodheart, was extended an offer to come to the capitol building in Helena and play for the governor and other staff there. They were extremely honored then, and now they are trying to make it a reality. The cost of going is $2500.00. They have raised $800.00 on their own thus far. Now, it is time to allow the support of their community to flow in. Many schools in the BPS district are going to sponsor a one-day buy in day and donate every penny to this amazing cause. Our day will Wednesday, November 5th. For a $1.00 donation, students in all grades may fill up a small Ziploc bag (snack size) with some of their leftover Halloween candy and enjoy the snack in class. If they don’t want candy, any snack is acceptable. Let’s all join together and show the kids at Riverside that we BELIEVE in them, and that we are behind them all the way! Cat / Griz Box Top Challenge! The money will be used for additional ipads/Chromebooks. THANKS for taking the time to cut and collect!!! Our Classroom Basket theme is "Outdoor Family Fun"
Please donate what you can by Monday, Sept. 21st. If you would rather send $ and have a volunteer purchase items, please put in an envelope marked "donation for Fagan's Classroom Auction Basket". 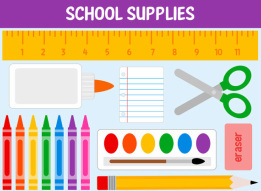 *Donate items to your class basket! *Bid on all the baskets you can! Why: All proceeds go directly to Arrowhead and impact each student. You make a difference! Arrowhead raises thousands of dollars each year at Saturday Live thanks to your generosity. Click on the green banner to visit Arrowhead's Website for more dates to be aware of. Friday is Individual Picture DAY! **These pictures will be used for the yearbooks that can be ordered in the spring for the last week of school. Mrs. Derrig will be ready for visitors and registration. Class Lists for grades 1st-5th will be posted at 4:00 on the windows by the front door. *Practice writing your spelling words at least 3 times during the week. *Practicing spelling words used in sentences. 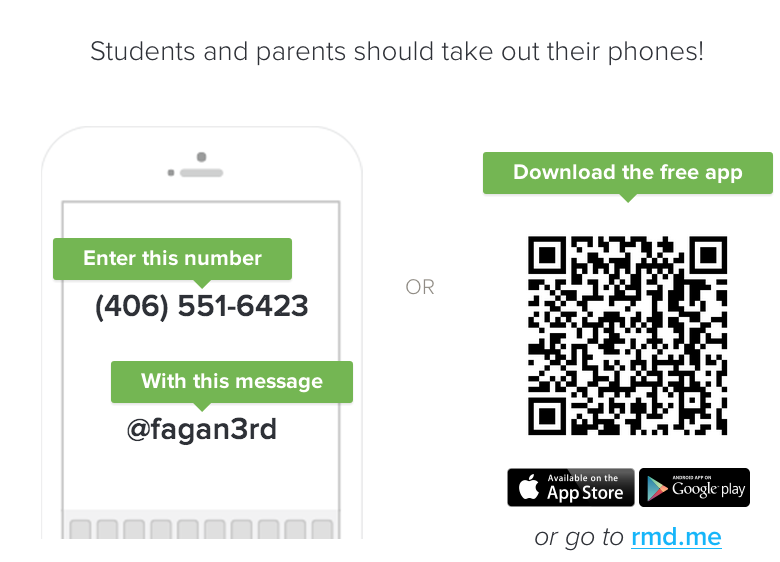 Remind 101 - message alerts about important events in 3rd Grade this year! Hello, my name is Maggie Fagan. I have lived in Billings for 26 years. I am married to my best friend, Grant, and have 2 teenagers. We have a daughter named Shania and a son named Lute both are in high school at West High. We have a 1 year old puppy named Lily and an 8 year old kitty named Callie. This will be my 21st year of teaching in Billings and my 6th year at Arrowhead School! I am looking forward to starting another school year here at Arrowhead with you and your child!